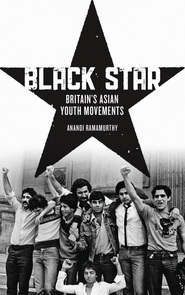 The launch of ‘Black Star: Britain’s Asian Youth Movements’ by the author Anandi Ramamurthy provided a candid insight into the important role that Asian Youth Movements (AYMs) played in the ongoing negotiation of concepts regarding race and the treatment of ethnic minority groups which still impact upon the way race is perceived in the UK today. The talk last Thursday, hosted by the Race Relation Resource Centre of Manchester, traced the creation of AYMs across UK towns and cities, emphasising their ties not only to the wider Asian community but other ethnic minority associations. Ramamurthy’s talk explored the roots of these organisations within the community along with notions of self-determination, the power of solidarity, independence and the belief in the right to defend. AYMs challenged the progression of institutional racism within the British legal and justice systems, as well as drawing attention to the less effective anti-racism campaigns from the left and the threatening behaviour of the far-right organisations. Ramamurthy brought the discussion up to the present day by exploring the allocation of funding along cultural and religious lines as a divisive strategy to disassemble these powerful and effective action groups. During the last three quarter of an hour the discussion was opened up to the audience, many of whom had been key members in the AYMs and Black Youth Movements of the time. Hearing the opinions on Ramamurthy’s work of those deeply embedded with the movements at the time clarified the importance of such projects, books and talks for the preservation and dissemination of local histories and their national impact.